Skin tightening injections are a growing trend, because skin tightening no longer requires the patient to go under the knife. There are a number of methods that can be used to tighten the skin on your face, neck, and body. One of the methods used is heat energy generated from heat energy of ultrasound or radio frequency to penetrate down to the deep skin foundational layers. Other methods may include anti-wrinkle injections to reduce the action of the muscles pulling the skin of the face downward. These types of injections can be used to selectively relax various muscles of the face, which will allow the upward pulling muscles an extra advantage, pulling up the skin without the pressure from the pull of the downward muscles. Some options include relaxing muscles underneath the brows to create an eyebrow lift. You can also relax the side of the mouth to help lift corners of the mouth. In order to get that beautifully defined jawline, you can use skin tightening injections to relax muscles in the neck that pull the cheeks and jawline down. 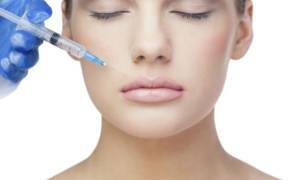 Skin tightening injections with dermal fillers are FDA-approved products with naturally occurring substances. 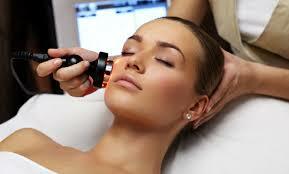 They are injected with very fine needles in the targeted areas to achieve a more youthful look. Once the naturally occurring substance has been injected it plumps up the skin, filling in wrinkles and augmenting face features such as sporting more defined modelesque cheeks. Dermal fillers used in skin tightening injections for the eyes can help the eyes look younger and more rested. This minimally invasive solution is the first of its kind for the effective treatment of dark circles and bags under the eyes. You can expect no signs of skin irritation after the skin tightening treatment, which means you, can do the treatments over your lunch break. Come visit our Mississauga location and schedule a treatment with us today.